My checkpoint system’s label deactivation does not seem to be working. Many times this is a simple fix. The first thing to do is to check that the power cord is plugged into a 110 volt power outlet and that it is being powered. If you are not certain that the outlet is powering the system, look for the power light on the checkpoint chassis to see if it is on. If the light on the chassis is not on, test the power outlet by unplugging the system and then plugging in a light or lamp to the outlet to see if it is receiving sufficient power. Make sure to also check the other end of the cord and see if it is firmly and completely plugged into the deactivation chassis. The chassis is generally located under your cash/wrap. If this test does not resolve the issue, then look at the wire going from the checkpoint deactivation chassis to the pad. This pad is usually mounted underneath the counter and contains a grey colored wire which connects the pad to the deactivation checkpoint system chassis. Look for frayed or broken wires on the system and confirm that the wires are in good condition. Loss Prevention Systems (LPSI) stands out as the highly regarded national supplier around the U. S. regarding Alpha High Theft Products and Checkpoint Solutions. We have nationwide sales, products, and outstanding service. Loss Prevention Systems gives you more than retail loss prevention products. 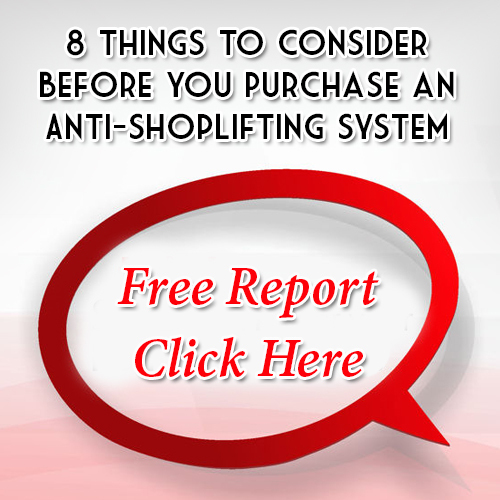 Our knowledge in retail store shoplifting prevention enables Loss Prevention Systems to offer actual training and anti-theft alternatives. Prevent retail loss NOW with LPSI (Loss Prevention Systems) and Checkpoint & Alpha Systems choices. For more information on Checkpoint System Deactivation, give us a call at 1(866)914- 2567 or visit our website at Loss Prevention Systems and get the security help you are looking for.